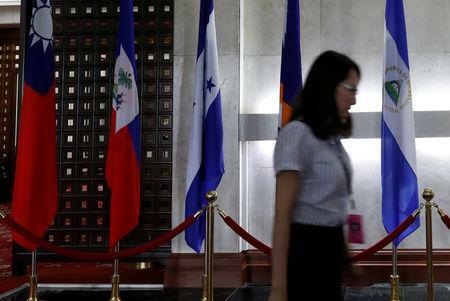 TAIPEI/BEIJING (Reuters) - Taiwan vowed on Tuesday to fight China's "increasingly out of control" behaviour after Taipei lost another ally to Beijing when El Salvador became the third country to switch allegiances to China this year. "We will turn to countries with similar values to fight together against China's increasingly out-of-control international behaviour," Tsai said. 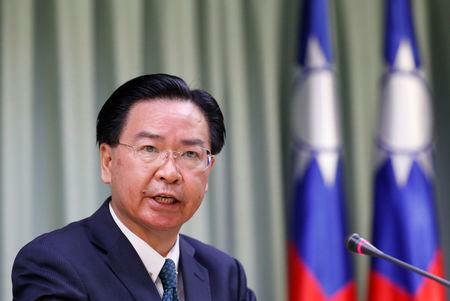 Taiwan Foreign Minister Joseph Wu told reporters earlier that Taipei was not willing to engage in "money competition" with its giant neighbour. "China's rude and unreasonable behaviour will certainly have negative impact to cross-strait relations. This is also not how a responsible country should behave." 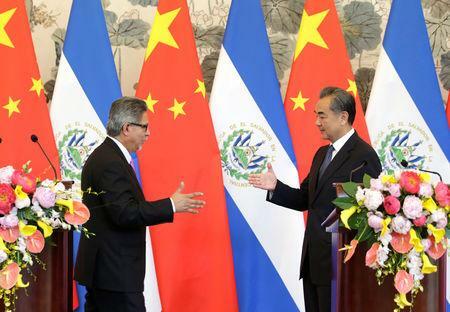 The U.S. ambassador in El Salvador, Jean Manes, wrote in a Twitter post on Tuesday the United States was analysing El Salvador's "worrisome" decision to break ties with Taiwan.